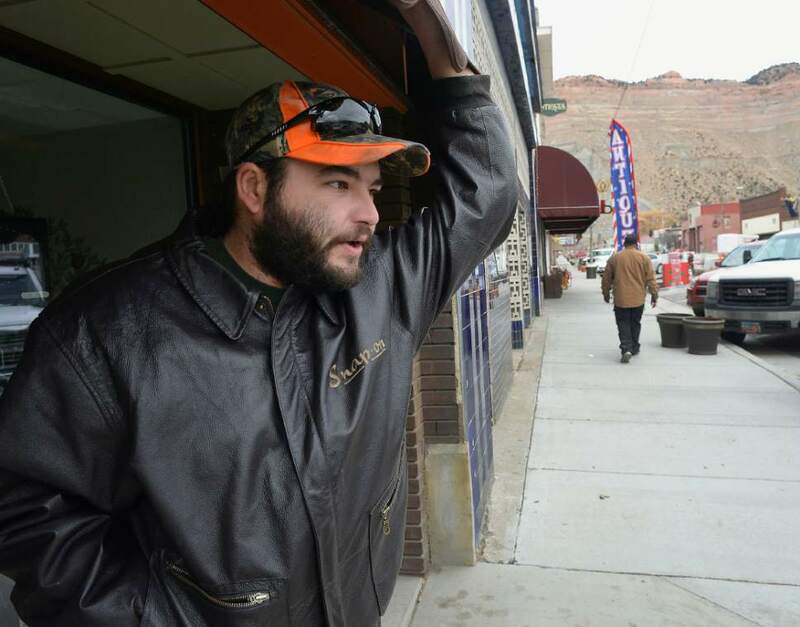 East-central Utah residents have weathered tough times and are hungry for some good news. 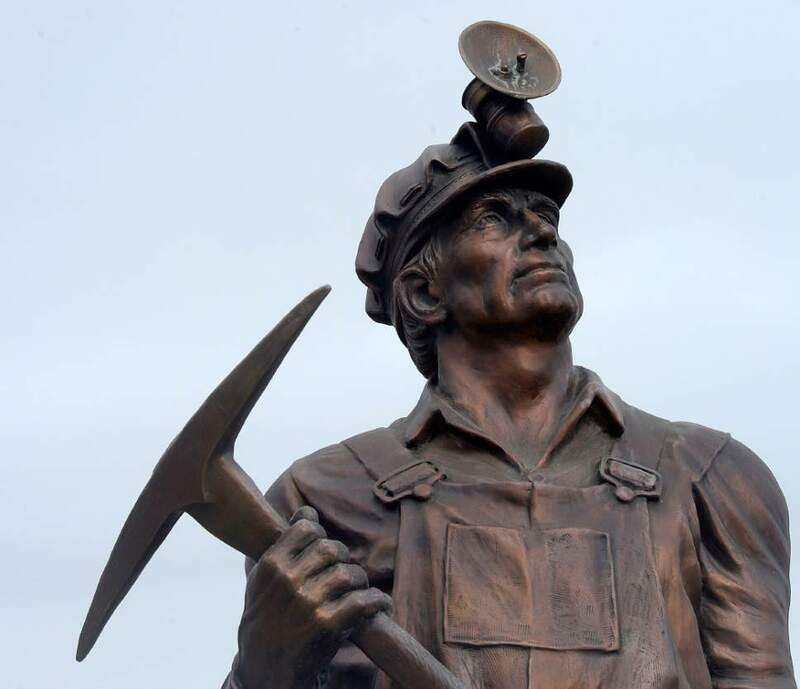 Al Hartmann | The Salt Lake Tribune Local bronze artist Gary Prazen's sculpture of a strong coal miner looks skyward or maybe into the future in the Coal Miner's Memorial placed prominently along Price's Main Street. With the election of Donald Trump people in Carbon and Emery County breathed a sigh of relief and are hopeful that the coal industry can be saved. 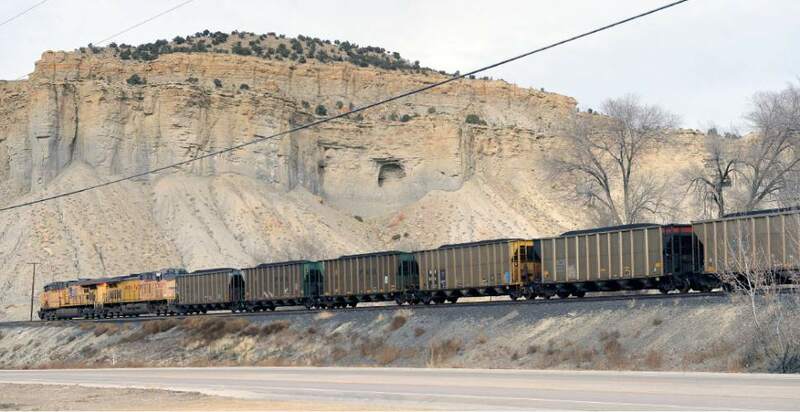 Al Hartmann | The Salt Lake Tribune Savage coal terminal south of Price, where coal is delivered by truck and put onto railway cars is running at a slower place in 2016 with the closing of local mines and low demand for coal. With the election of Donald Trump people in Carbon and Emery Counties breathed a sigh of relief and are hopeful that the coal industry can be saved. Al Hartmann | The Salt Lake Tribune Price Main street businesses have suffered in the past few years with low demand of coal and mine closures. With the election of Donald Trump people in Carbon and Emery County breathed a sigh of relief and are hopeful that the coal industry can be saved. 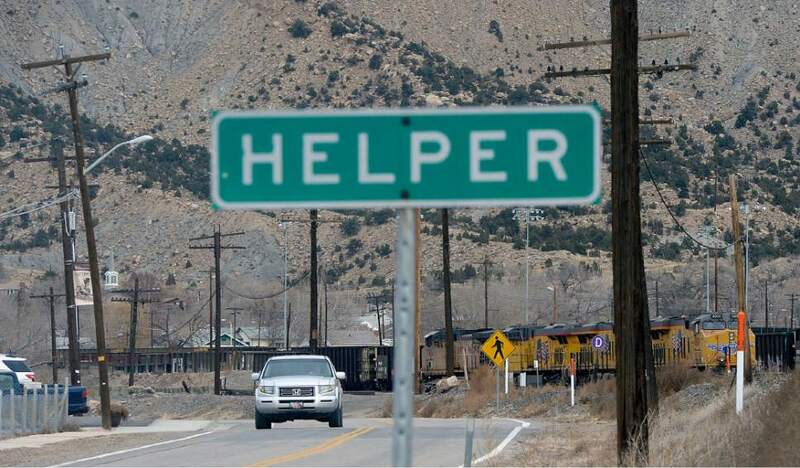 Al Hartmann | The Salt Lake Tribune Town of Helper just west of Price still houses the Union Pacific railroad yard where long coal trains get additional engines to "help" them up the steep incline in Price Canyon. Railroads and coal have had a relationship for decades in supporting the economy. With the election of Donald Trump people in Carbon and Emery County are hopeful that the coal industry can be saved. 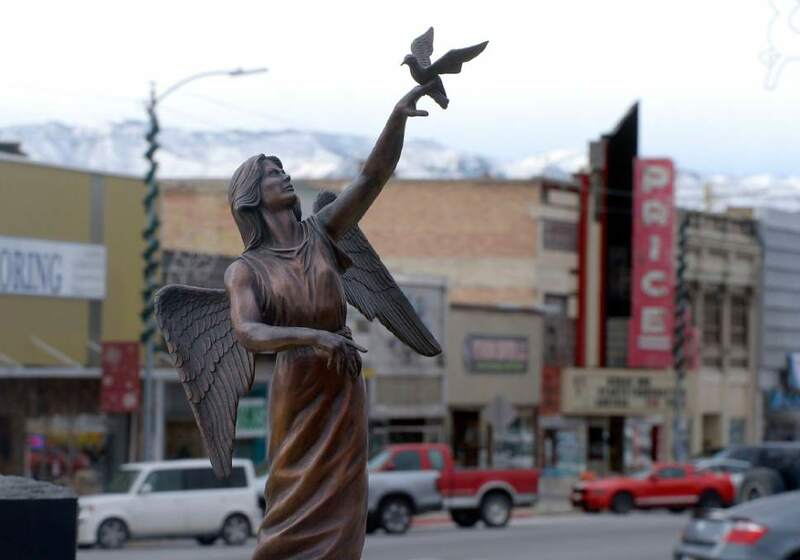 Al Hartmann | The Salt Lake Tribune Angel and dove statue of the Coal Miner Memorial is placed prominently in the center of Price's Main street. Businesses have suffered in the past few years with the closing of local mines and low demand for coal. With the election of Donald Trump people in Carbon and Emery Counties breathed a sigh of relief and are hopeful that the coal industry can be saved. Al Hartmann | The Salt Lake Tribune With the election of Donald Trump people in Carbon and Emery County breathed a sigh of relief and are hopeful that the coal industry can be saved. Stan Densley worked in coal mines for eleven years but now helps manange Hardhat Furniture in Price. He supports Donald Trump in bringing back clean coal to the area. He said that if not for Trump, the demise of the coal industry would mean local businesses like his closing. Al Hartmann | The Salt Lake Tribune With the election of Donald Trump people in Carbon and Emery County breathed a sigh of relief and are hopeful that the coal industry can be saved. Andy Urbanik, sales team leader for Castle Country radio stations was a strong early supporter for Donald Trump. He is now optimistic for the energy extraction industry in the area. 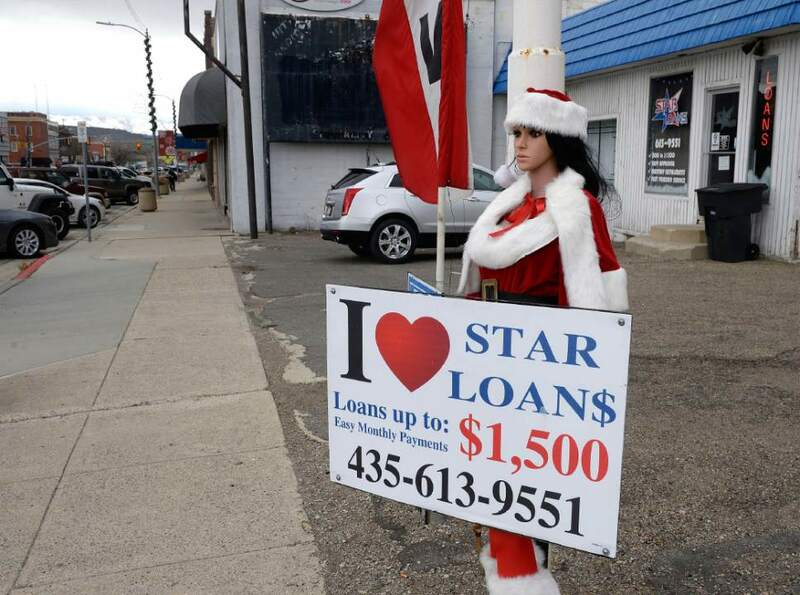 Al Hartmann | The Salt Lake Tribune Christmas mannequin advertises short term loans on Price's Main Street. Businesses and people have suffered in the past few years with the closing of local mines and low demand for coal. With the election of Donald Trump people in Carbon and Emery Counties breathed a sigh of relief and are hopeful that the coal industry can be saved. Al Hartmann | The Salt Lake Tribune With the election of Donald Trump people in Carbon and Emery Counties breathed a sigh of relief and are hopeful that the coal industry can be saved. Dean Kone of Price, a retired union carpenter was skeptical of Trump being able to bring back coal, likening him to the man behind the curtain in "Wizard of Oz." Al Hartmann | The Salt Lake Tribune With the election of Donald Trump people in Carbon and Emery County breathed a sign of relief and are hopeful that the coal industry can be saved. Jeremy Schritter, 29 of Helper is an unemployed truck driver. He drove coal trucks but lost his job in April. He supported Donald Trump and believes he can make a difference in bringing back coal and good jobs. Al Hartmann | The Salt Lake Tribune With the election of Donald Trump people in Carbon and Emery County breathed a sigh of relief and are hopeful that the coal industry can be saved. 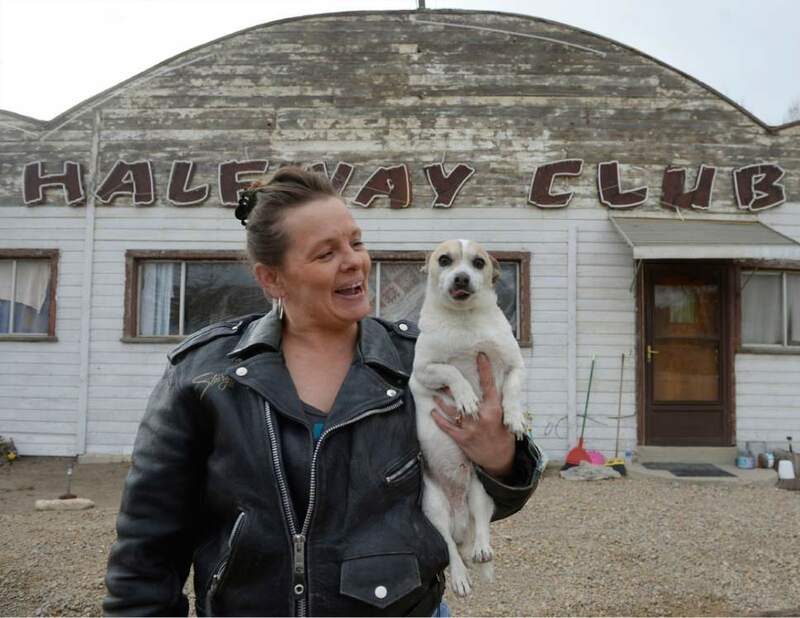 Shelly Marvidikis with her dog "Baby Boy" work outside an old roadhouse in Carbonville she is renting. Her dislike of Hillary Clinton drove her to vote for Trump and she support his ideas to bring back coal. 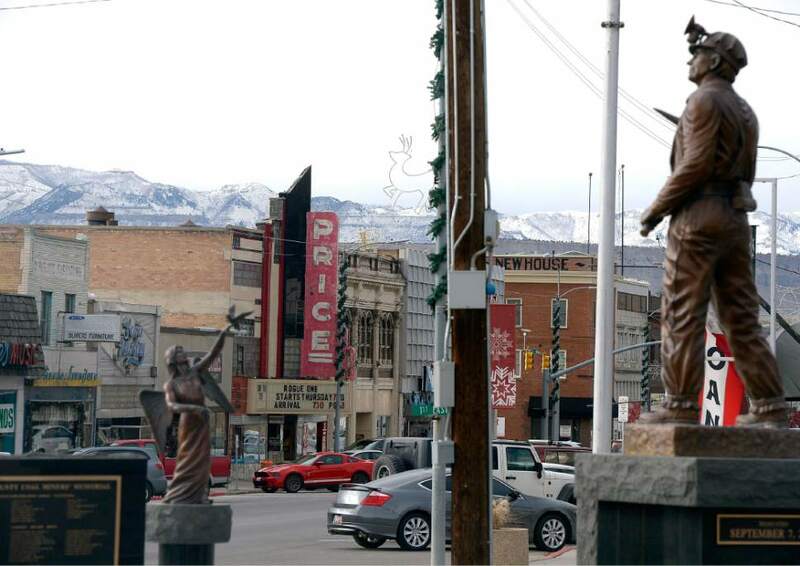 Al Hartmann | The Salt Lake Tribune Statues of the Coal Miner Memorial sit prominently in the center of Price's Main street. Businesses have suffered in the past few years with the closing of local mines and low demand for coal. With the election of Donald Trump people in Carbon and Emery Counties breathed a sigh of relief and are hopeful that the coal industry can be saved. Al Hartmann | The Salt Lake Tribune Union Pacific engines pull coal cars past Carbonville towards Helper. Railroads and coal have had a relationship for decades in supporting the Carbon County economy. With the election of Donald Trump people in Carbon and Emery County are hopeful that the coal industry can be saved. Al Hartmann | The Salt Lake Tribune Realty for sale sign in the window of one of the first J.C. Penny stores in the west on Price's Main Street. It closed recently. Businesses have suffered in the past few years with the closing of local mines and low demand for coal. With the election of Donald Trump people in Carbon and Emery Counties breathed a sigh of relief and are hopeful that the coal industry can be saved. 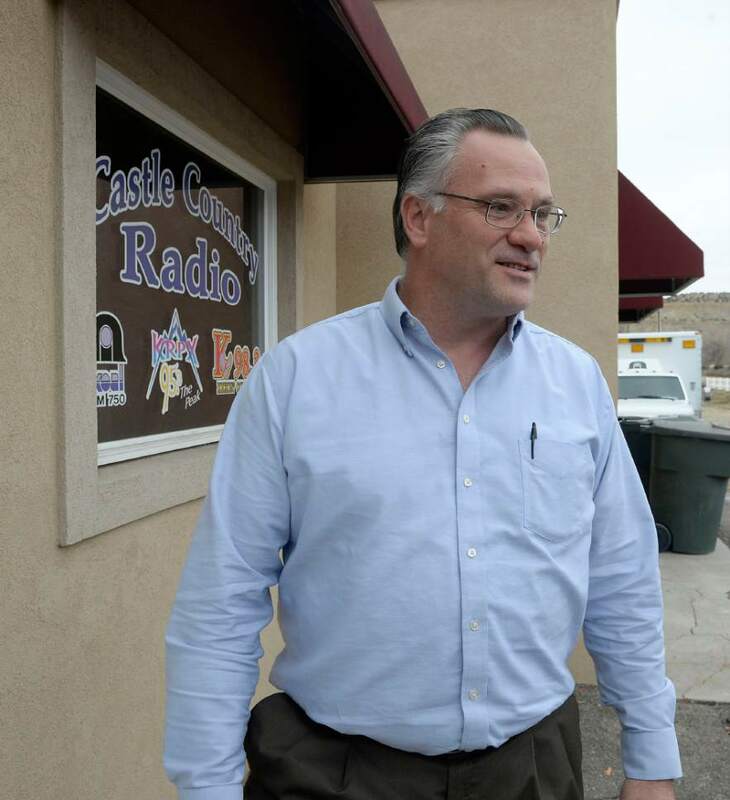 Price • The day after Donald Trump was elected president, Andy Urbanik was visiting businesses around Carbon and Emery counties, selling ads for KOAL and two other Castle Valley Radio stations. Everywhere he went, the fervent Trump supporter said, "It was like a weight was lifted off everybody&apos;s shoulders. People had hope." Hope is a word used frequently these days in Utah&apos;s coal country. There&apos;s no solid evidence Trump can revive the struggling coal industry after he takes office in January. But at least there&apos;s hope he will follow through with campaign promises to bring back coal  and, in doing so, restore lost jobs in natural-resource-rich east-central Utah. With Hillary Clinton, there was no hope for the mining community. "None whatsoever," said Jeremy Schritter, 29, of Helper, who has been unemployed as a coal-truck driver since April. "Trump gets the idea we should focus on our local residents. With him doing that, it will bring jobs back to working folks like me. He has a lot more ambition to bring the regular working force back." Not everyone agrees. Deon Kone, a retired union construction worker in Price, said, "As a working man, I don&apos;t know how a working man could vote for Trump. He&apos;s all smoke in the sky as far as I&apos;m concerned … like the wizard of Oz." But election results clearly show Urbanik and Schritter represent mainstream views in Utah&apos;s coal country. 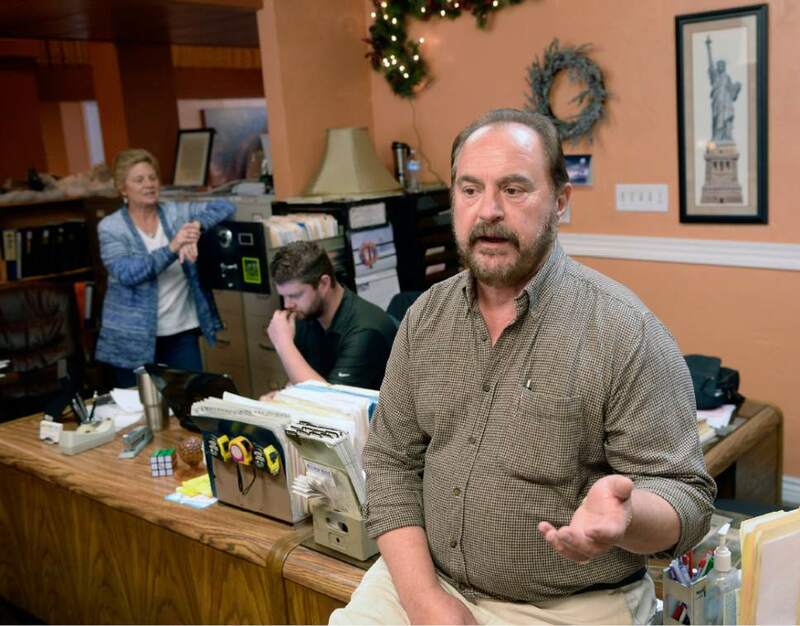 "Trump&apos;s already helped," said Lynn Sitterud, who owns a mining-equipment repair business in Huntington and was overwhelmingly elected in November to a seat on the Emery County Commission. "Just since he won the election, attitudes have changed and people are a little more hopeful." Added fellow Commissioner Paul Cowley, who retired in 2012 from a job at the Hunter Power Plant outside of Castle Dale: "I hope [Trump] sticks to his guns and he can get things passed through Congress to bring back a needed industry. … I&apos;m not a fortune teller, but I am confident he will do that." Possibilities • Trump supporters see two main areas where he can reverse Barack Obama administration policies they consider disastrous to the coal industry. First, Trump could end a moratorium on new federal coal leases imposed by the Interior Department last January. The goal, Interior Secretary Sally Jewell said then, was to take into consideration coal&apos;s impact on climate change and to ensure companies pay enough royalties that taxpayers and coal-country communities get fair compensation for extracted resources. Secondly, the incoming president could relax anti-pollution mandates the U.S. Environmental Protection Agency has placed on the Hunter and Huntington power plants. In June, the EPA rejected a state plan to minimize regional haze and ordered Rocky Mountain Power to install more pollution controls at the plants. The utility, which contends the mandated upgrades would cost close to $700 million, joined the state in September in filing a lawsuit asking the 10th U.S. Circuit Court of Appeals to overturn the EPA&apos;s decision. A third possible path of action is opening more doors for exporting Utah coal overseas  even though the president-elect outspokenly opposes trade agreements covering the Americas and Asia. "We have a tremendous amount of coal here, and it is very good coal," said Joe Ward, a Huntington City Council member who spent most of his working life at Rocky Mountain Power&apos;s recently shuttered Deer Creek Mine. Because Utah coal is low in sulfur and burns cleaner, Utah Office of Energy Development Deputy Director Rob Simmons said the administration of Gov. Gary Herbert will continue to focus on "trying to improve market access for Utah&apos;s superior product." It would be nice, Simmons said, if that coal could be shipped overseas from a proposed port in Oakland, Calif., that six Utah counties have attempted to subsidize with $53 million from the state&apos;s Community Impact Board. That project has been blocked by the Oakland City Council&apos;s decision in June to ban coal from being handled at the terminal (the would-be developer sued the city earlier this month), but Simmons said other West Coast ports could handle shipments of Utah coal. He also maintained "coal is more likely to find some reasonable deals in individually negotiated contracts" with countries in Southeast Asia and Indonesia rather than relying on terms of the Trans-Pacific Partnership Agreement negotiated by Obama and targeted for elimination by Trump. "That large Pacific deal wasn&apos;t extremely friendly to coal." Fears • Mike Dalpiaz, former Helper mayor and a longtime leader in the United Mine Workers of America, understands that his neighbors "want to hear what Trump&apos;s saying [because] eight out of 10 are touched by coal [jobs] at some point in their life. But is it going to become a reality?" He is skeptical, blaming the demise of coal more on the availability of much-cheaper and cleaner natural gas than on anything the Obama administration did or Clinton would have done. And Dalpiaz is deeply concerned that Trump&apos;s anti-regulatory campaign rhetoric will result in a rollback of mine-safety rules. "Are we going to go back to the 1960s when we were killing off 200 to 300 guys a year" in mining accidents, he said. "Regulations are not the problem in the coal industry. Every regulation in the federal [code] was made because blood was spilled, not because somebody woke up and decided to write a new regulation, but because of accidents that could have been prevented. "If he screws with the regulations," Dalpiaz added, "we&apos;re going to have problems." Most people in coal country, however, are less dubious about what Trump has to offer. "We feel like, oh my gosh, he&apos;s not out to destroy us. [Clinton] was and she said so," said Christine Watkins, a Republican who defeated Rep. Brad King, D-Price  the last Democrat representing rural Utah in the Legislature. Watkins, a Democrat turned Republican, was referring to part of a quote, cited frequently by Trump fans, that Clinton made in March at a CNN town hall. "We&apos;re going to put a lot of coal miners and coal companies out of business, right?" she said in describing her plan to boost renewable energy. Often overlooked was Clinton&apos;s follow-up comment that "we don&apos;t want to forget those people [who] labored in those mines for generations, losing their health, often losing their lives to turn on our lights and power our factories. … I don&apos;t want to move away from the people who did the best they could to produce the energy that we relied on." But only the first part of her statement stuck with people. "That [quote] was not good news for those of us in this area," said Watkins, who acknowledged that she went into election night thinking Trump had no chance to win. But as the results poured in, "it was like my heart was lifted. We have a chance. We realize it&apos;s just a chance, and I can&apos;t tell you how he&apos;s going to do it, but I&apos;m confident seeing some of the people he&apos;s nominated for his Cabinet. They&apos;re good people who don&apos;t want to shut everything down." Survivors • Stan Densley is a former miner who now helps run Hoffman&apos;s Hard Hat Furniture & Appliance, a stubborn survivor on Price&apos;s Main Street whose logo is a miner&apos;s hard hat. 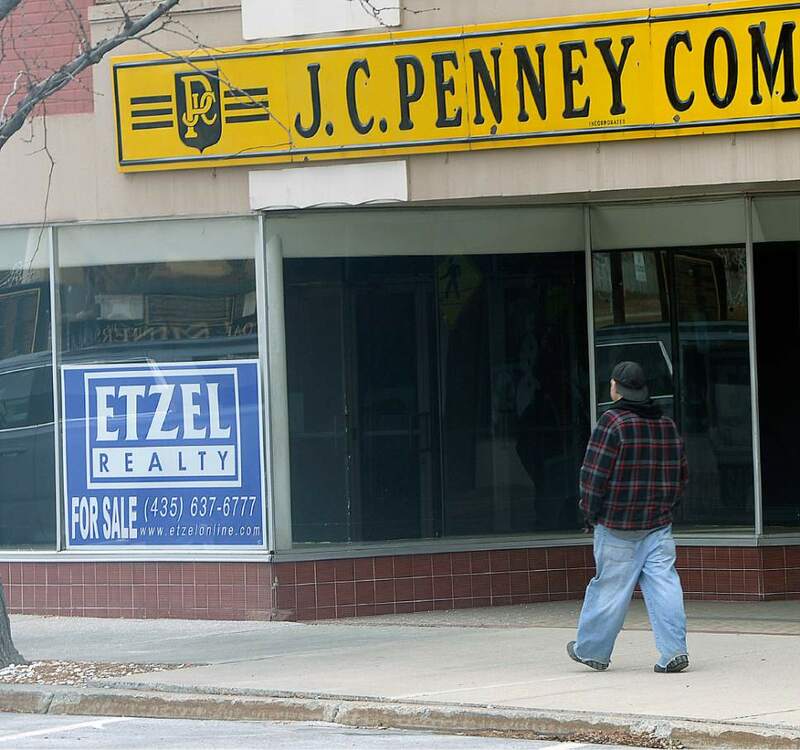 Struggling for years now, the street has more empty storefronts than ever, including what was one of the first J.C. Penney stores. Densley said if Clinton had been elected and pressed policies to boost alternative energies at the expense of coal, the negative effects would have been widespread, squeezing everyone from miners to power-plant employees, from truck drivers to maintenance workers. 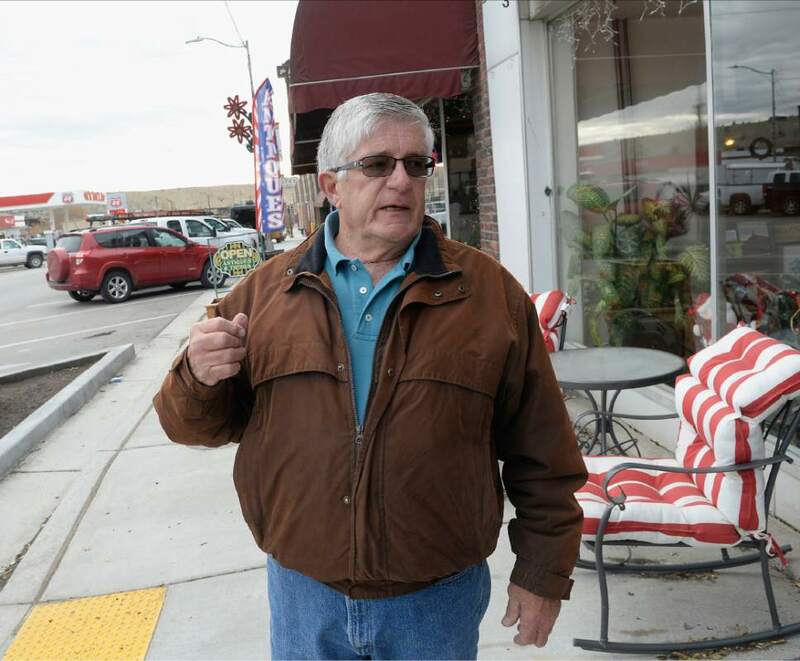 "If they shut down, my furniture store and most of these other stores on Main Street would close," he said. "If Trump can do something [for us] and America, that would be great. If not, I don&apos;t see it being any worse than it is now." Carbonville resident Shelly Marvidikis assessed prospects under Trump as "kind of iffy" but much more likely to revive coal country&apos;s sputtering economy than the alternative. "More homes are for sale or rent here and people are just moving out and abandoning their homes," she said. Like Simmons from the Utah energy office, Emery County Economic Development Director Jordan Leonard is optimistic about Trump&apos;s election. "A lot of our coal-supporting companies are getting some contracts back because they know the pressure [from the federal government] won&apos;t be so heavy," he said. "EPA has made coal a dirty word." Leonard said he is under no illusions that Utah coal-mining jobs will surge back, recognizing that mechanization has changed the industry permanently. But he believes that ending the coal-lease moratorium will enable companies to mine seams scattered around coal country, restoring jobs for some miners who had to move out of state for work, and that there will be a market for that coal. Simmons noted that the University of Utah is developing new technology to gain access to deep coal seams. It also has received U.S. Department of Energy grants to study ways of turning coal into cleaner-burning hydrogen, diesel fuel and strong but lightweight carbon fibers that may be used in everything from prosthetic limbs to skis. "Coal is going to be utilized pretty broadly throughout the world for quite a while," Simmons said. "If we can develop these technologies, we can do a lot more to reduce pollution." If Trump fails to live up to his promises, his coal-country supporters certainly will be disappointed. But they&apos;ve lived through disappointments before. "We&apos;ll survive," said Cowley, the Emery County commissioner. "We may not have the comforts of life we&apos;ve had recently. But if it comes down to it, and things go from worse to worse, we can survive."